William, 1st Earl Cowper (1665-1723) was an astute and successful lawyer who served as Lord Chancellor to Queen Anne. He acquired a good deal of land near Hertford and in the early C18th he had a house built at Cole Green. This house was his main country residence. By the end of the C18th, his great-grandson, the 5th Earl, Peter Leopold (1778-1837) decided that a new country house was needed. In 1799, Humphrey Repton was commissioned to design plans for remodelling the landscape on the Cole Green Estate and the land on the adjoining Panshanger Estate. 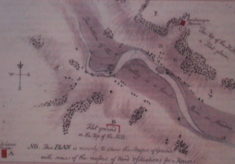 The house at Cole Green was demolished and a new large mansion was built on a position on the land at Panshanger which commanded a pleasant view over an artificially constructed lake on the River Mimram. The house was built in “Gothick Style” and was made from concrete bricks that were made on site. 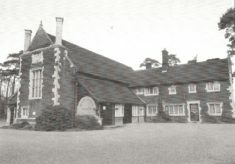 It connected with some of the rooms of an earlier house which had stood on the site. A fine large room was incorporated into the design; as the 5th Earl needed an Art Gallery in which he could display the collection that had been made by his father the 3rd Earl, who had lived in Tuscany during his adult life. The house was finished by 1810. Later in the century, remodelling and extending took place, prompted by damage that had been caused by a fire. In 1905, the seventh and last Earl died without issue. 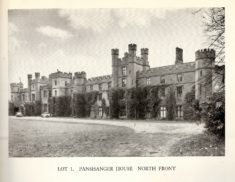 The property and the estate passed to his niece, who was to become Lady Desborough (1867-1952). In 1919, she sold 1458 acres of land to Ebenezer Howard for £51,000. 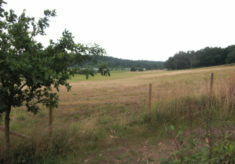 This land was developed into Welwyn Garden City. 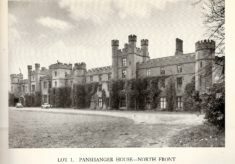 No-one in Lady Desborough’s family wanted to live at Panshanger, and the house and grounds were sold in 1953. The house was demolished and the site was used for gravel extraction.